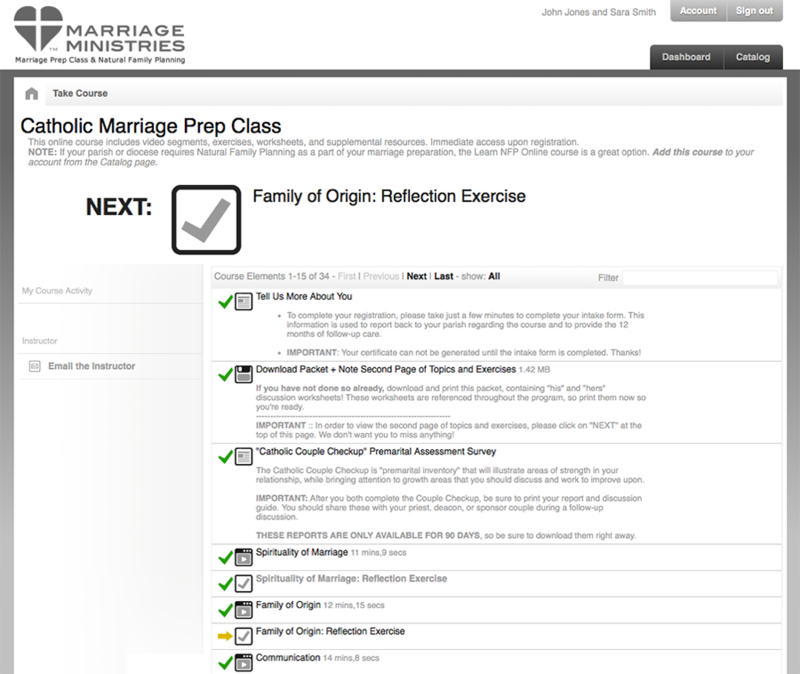 Wondering what couples experience with this online Catholic marriage preparation program? Click on the sections listed below to see what each step looks like. 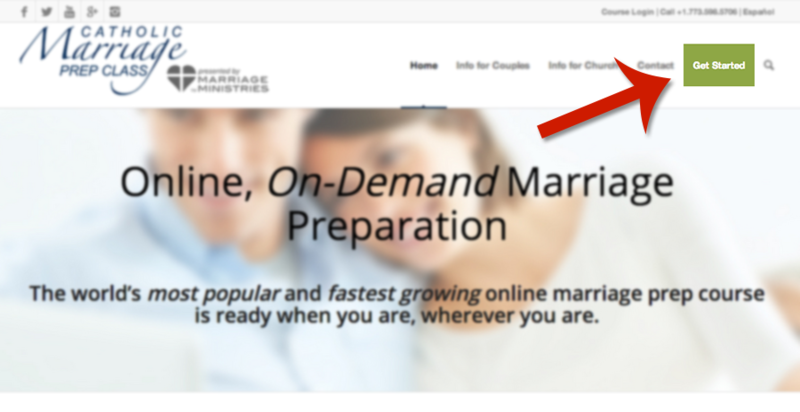 Couples can easily Get Started from any page on the website. 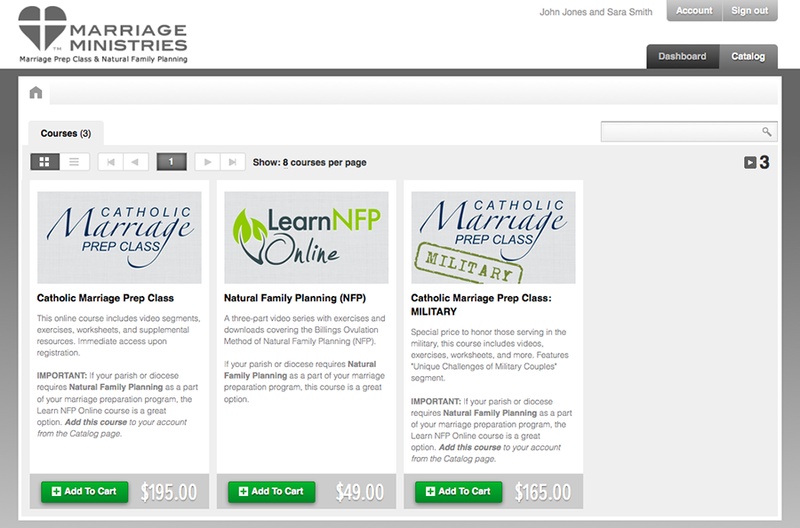 Available courses are displayed clearly for choosing. The course elements are presented in an easy-to-follow list. The next step is always highlighted at the top. 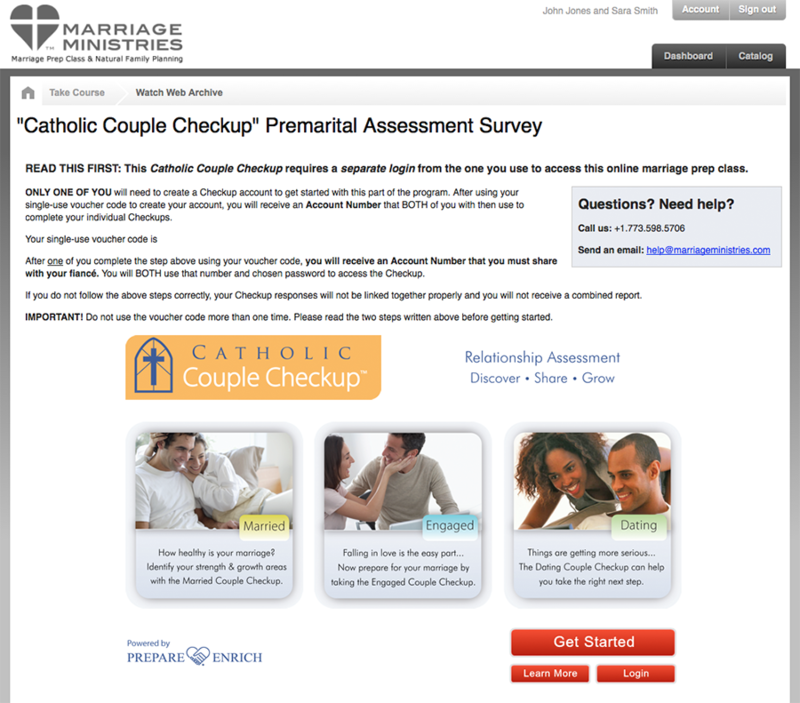 The program includes an interactive premarital inventory survey. Once he and she finish the Checkup, a 15-20 page report is provided that does a great job illustrating a couple’s strengths and growth areas in their relationship. 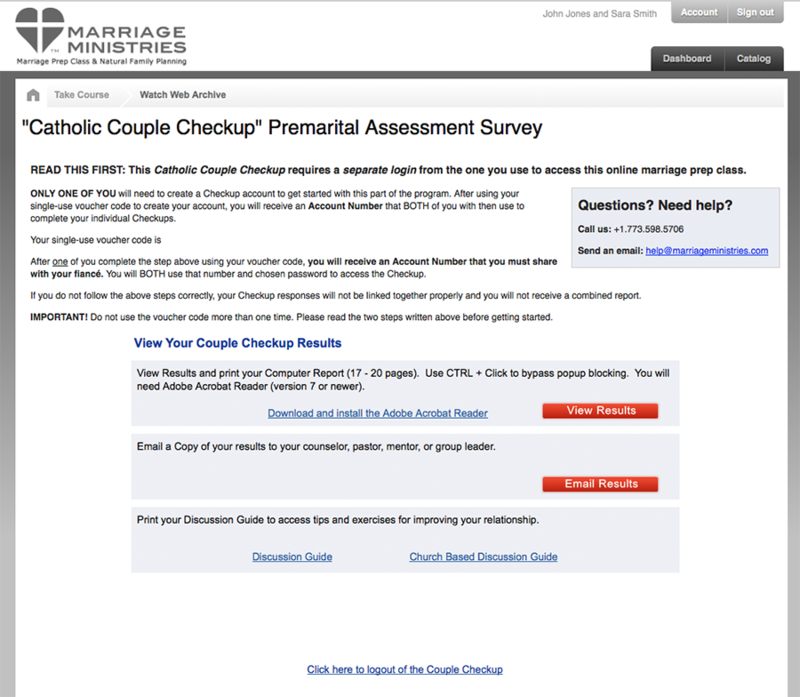 When finished with the Catholic Couple Checkup, it’s easy to download the report and have it automatically emailed to the priest, deacon, or other marriage prep facilitator. 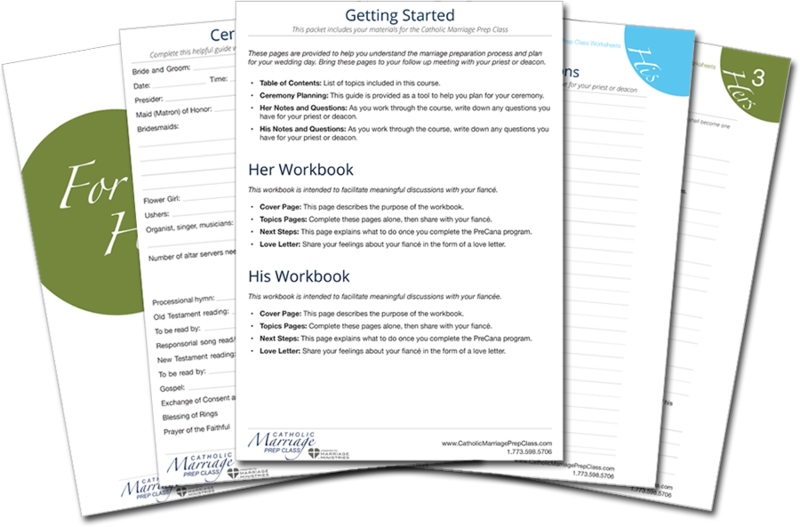 Couples download and print worksheets and supplemental materials to enhance the online learning experience. A variety of presentation styles are used to keep the program interesting and dynamic. 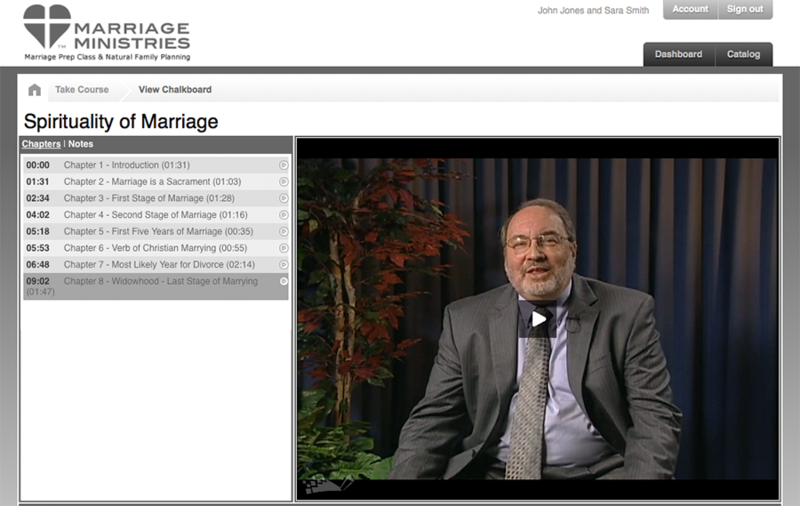 An exercise follows each video presentation, encouraging further discussion between the couple. 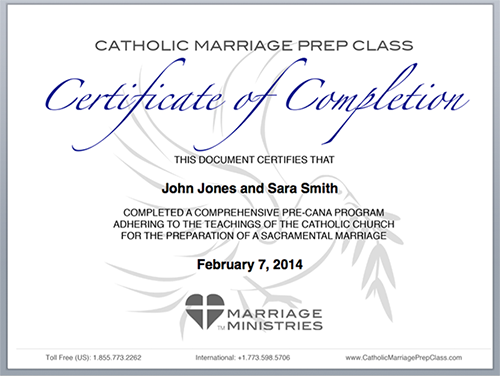 After all required course elements are finished, a certificate of completion is provided. Download promotional materials, endorsement letters, and more.